The American singer Judy Niemack at the Music Village in Brussels with a drumless quartet. 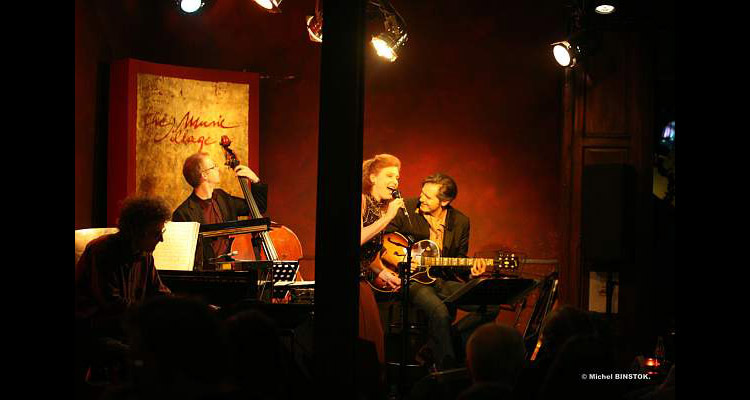 Michel Herr (piano, keyboards), Bart De Nolf (double bass), Judy Niemack (vocals) and Jeanfrançois Prins (guitar). The Music Village, Brussels, November 2006. Photo © Michel Binstok.